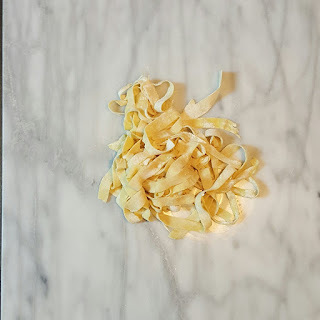 For some reason, I always talk myself out of making fresh pasta. It seems like so much extra work! But in the end, it is worth it. The pasta is so much better than the store bought version. Make a crater in the mound of flour in a bowl. 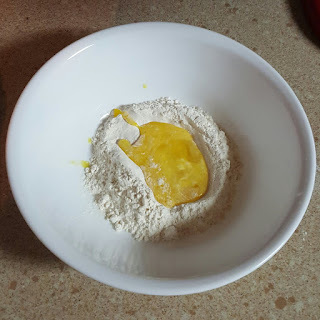 Add the egg in to the middle of the flour. With a fork, slowly beat the egg inside of the crater. Slowly incorporate the flour in to the egg. Continue stirring until all of the flour is mixed with the egg. You may have to use your hands to get all of the flour mixed in. You want the dough to be a little sticky. It should not have the same consistency of pastry dough. Run the pasta through a pasta roller, starting with the widest setting. The first few times through the roller, it will seem the dough is crumbling. Once the dough runs through the roller, fold it back in half and run it through again. Continue this process until the dough comes back together. Set the roller to the next smallest setting. Run through each setting at least twice until the desired thickness is reached. 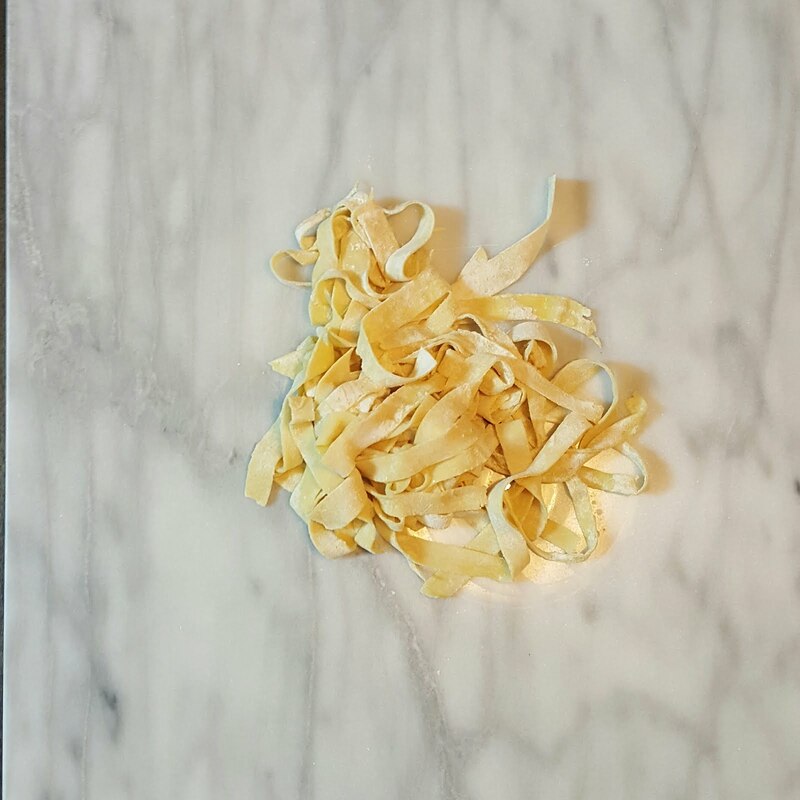 After the pasta goes through the roller, it is time to cut the sheets in to smaller strips. Lay the sheets on a floured surface. Fold the sheets over lengthwise, in thirds. I like to cut through the pasta with a sharp knife. I don't look for a uniform size. Once the pasta is cut to size, it is ready to cook. Add the pasta to boiling water. It will cook much faster that dried pasta. It will be al dente in 3 to 5 minutes.